If you are looking for Mercury Cougars for sale, then ATTENTION CLASSIC MERCURY COUGAR LOVERS!!!! Hello and Thank You for visiting our latest Classic Car that is up for sale! 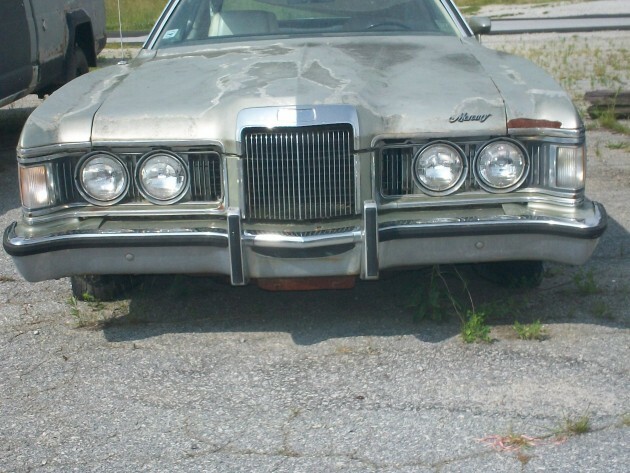 We proudly present a BARN FIND 1973 Mercury Cougar XR7 with ONLY 58,958 MILES that was purchased from an Estate Sale. This Classic was bought BRAND NEW on 12/28/1972 for $ 4780.58 in Hendersonville, NC and is a ONE OWNER! WE EVEN HAVE THE ORIGINAL STICKER & BOOKS!!!! The exterior color is Pewter, a Black Vinyl Top, with White Leather Interior. You won’t find many Mercury Cougars for sale like this one! The Engine is a 351-2V V8. Has Automatic Transmission, Power Steering, Power Brakes, AC, Full Instrument Cluster, Factory, AM/FM Radio, Heavy Duty Cooling, and Factory Wire Wheel Covers. Body is in GREAT SHAPE and NOT EATEN UP BY RUST. Interior is FAIR. Dash is GOOD. Glass is PERFECT. This car was last inspected on 5/8/2001 and at the time had 58,779 MILES. It has not ran since 2001 and roughly 200 MILES since the last inspection. IF YOU ARE A COLLECTOR OR MERCURY COUGAR ENTHUSIAST, THIS IS THE CAR YOU HAVE BEEN LOOKING FOR!!!! IT IS A TRUE BARN FIND AND THESE ARE HARD TO FIND!!!! FOR THE WINNING BIDDER, WE ARE PROFESSIONAL CLASSIC CAR RESTORATORS!!! IF YOU ARE INTERESTED IN HAVING THIS RESTORED, GIVE US A CALL FOR DETAILS AND PRICING. WE HAVE A 100% FEEDBACK ON EBAY FROM OUR CUSTOMERS WHO HAVE BOUGHT CLASSICS FROM US!! CHECKOUT MORE STORIES ABOUT MERCURYS HERE!